According to British academic, Stephen Dorril, in his book M16: Inside the Covert World of Her Majesty’s Secret Service, Major Hills was a self-described fascist and a staunch anti-communist who took it upon himself to ensure that the Galitsia Division would be transferred to Britain. 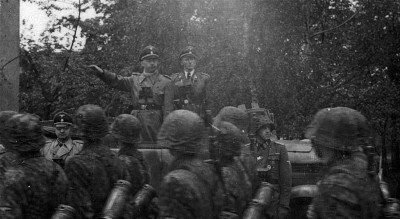 Hills personally advised the head of the Division, Major Yaskevycz, to instruct his men that when questioned by the Soviet repatriation commission they must lie and insist that they were forced to serve alongside the Nazis and were not by any means volunteers. As a result of this, and due to British fears that improved relations between Italy and the Soviet Union could result in repatriation, the decision was made on April 1st, 1947, to relocate at least 8,000 members of the Galitsia Division to Britain.